Judge Jeanine SLAMS Hillary: You traded Americans’ security just to line your own pockets! When it comes to the Clintons, follow the money — and national security be damned. 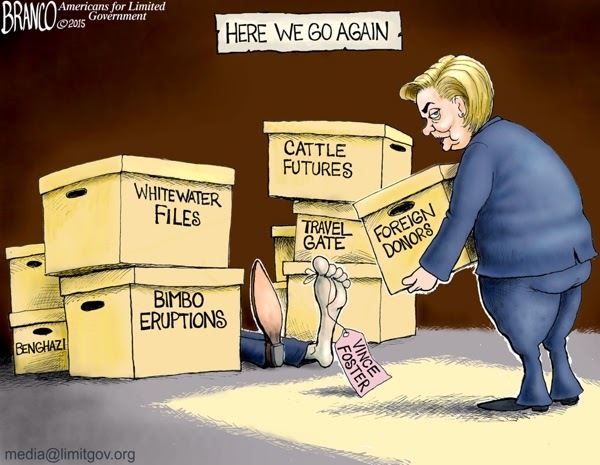 That was the message Saturday night from Fox News’ Judge Jeanine Pirro when she took former Secretary of State Hillary Clinton to task for putting America’s safety at risk by using a private email system to disguise how she used her office for her own financial gain. Last week, inspectors general for the State Department and the nation’s intelligence agencies asked the Justice Department to open a criminal investigation of the handling of classified information during Clinton’s tenure as secretary of state. The IGs reported classified information had been sent from Clinton’s private server. The judge said she knows the reason Clinton wanted to keep her emails secret. “Were you afraid that people might find out the reasons for your shifts in policy decisions were donations to the Clinton Foundation connected to the sale of arms around the world that doubled when you were secretary of state, especially to those governments that gave millions to the Clinton Foundation?” she asked.